Qwerty is the commonly accepted name for the computer keyboard, comprising the first six letters of its top row. When typewriters were first introduced, the keys were arranged in alphabetical order. However this order meant that people typed too quickly such that the keys soon became entangled. To counter this, the keys were displayed in random order and typing speeds accordingly slowed down. In later years, despite the fact that the problem of speed had been completely overcome, the keyboard retained its random order. In our view, this represents an excellent metaphor for the entanglement of culture and technological tools. In actual fact, we regard computer-based technologies as cultural artefacts, representing different depths in the daily work and study activity of individuals, social groups, and institutions. We believe that different models of computer use and activity within online environments mediate social interaction. As such, the relationship between culture and technological tools is becoming more and more complex and now provides an opportunity for determining new models of cognitive, psychological, and social interaction. Qwerty represents a place where such issues can be discussed and developed. The journal arises from a growing awareness of the need to develop research and reflection on the impact, effects and nature of technology use and, as such, is intended to be a genuinely cross-disciplinary forum. Qwerty wishes to provide a forum for discussion on the use of new technologies aimed at anyone interested in the use of technology in such fields as education, training, social and university research, including the cultural, social, pedagogical, psychological, economic, professional, ethical and aesthetical aspects of technology use. The journal is a publication of the CKBG, an organisation that boasts of a wide reputation within Italy, in addition to a variety of co-operative alliances at international level (read more on this website). 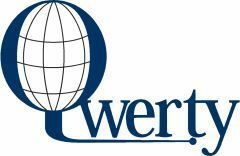 Qwerty is a peer reviewed journal published bi-annually by Progedit in Italian, French and English (see the issues’ archive), and provides set guidelines for authors. e off-line effects of online interactions and activities. Other related topics will be also welcomed.